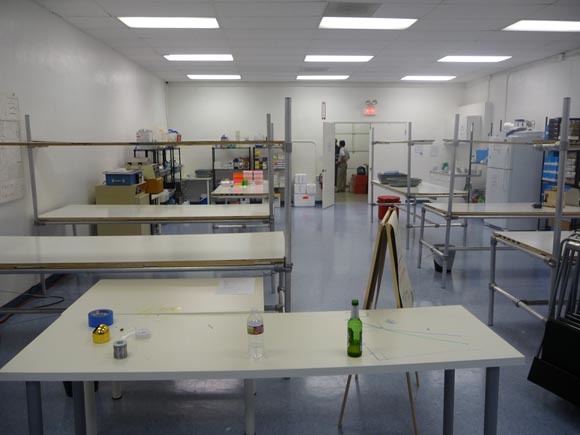 Inside a new DIY bio lab. 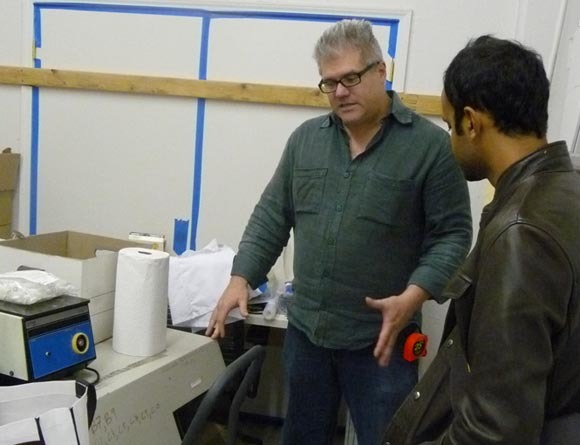 When I got to the BioCurious lab yesterday evening, they were just cleaning up some old coffee makers. These, I learned, had been turned into sous vide cookers in that day’s class. Sous vide cookers are sort of the gourmet rage at the moment. 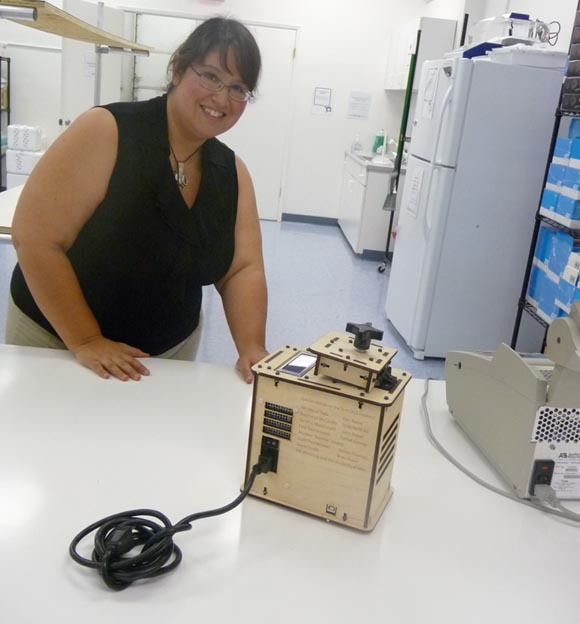 One normally costs several hundred dollars, but BioCurious offered a class for $117 where seventeen participants learned to build their own cookers and took them home at the end. They actually cooked steak during the class–and I’m told that it come out very good–but of course, sous vide cookers are also useful for biological experiments because they hold temperatures very steady. The class used Arduinos to provide the temperature control for the coffee pots and other basic hardware, so the lesson was more about electronics than biology. But it’s a great illustration of several aspects of what BioCurious is doing: a mission of involving ordinary people off the street in biological experiments, using hands-on learning, and promoting open source hardware and software. 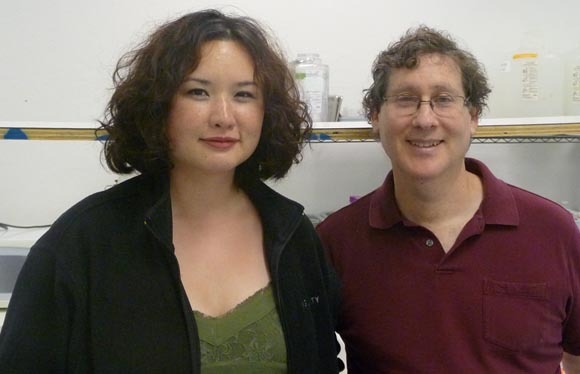 Other classes have taught people to insert dyes into cells (in order to teach basic skills such as pipetting), to run tests on food for genetically modified ingredients, and to run computer analyses on people’s personal DNA sequences. The latter class involved interesting philosophical discussions about how much to trust their amateur analyses and how to handle potentially disturbing revelations about their genetic make-up. All the participants in that class got their sequencing done at 23andme first, so they had sequences to work with and could compare their own work with what the professionals turned up. Experiments at BioCurious are not just about health. Synthetic biologists, for instance, are trying a lot of different ways to create eco-friendly synthetic fuels. In a back room (where I was allowed to go after being strenuously warned not to touch anything–BioCurious is an official BSL 1 facility, and they’re lucky the city of Sunnyvale allowed them to open), one of the staff showed a traditional polymerase chain reaction (PCR) machine, which costs several thousand dollars and is critical for sequencing DNA. A couple BioCurious founders analyzed the functions of a PCR and, out of plywood and off-the-shelf parts, built an OpenPCR with open hardware specs. At $599, OpenPCR opens up genetic research to a far greater audience. 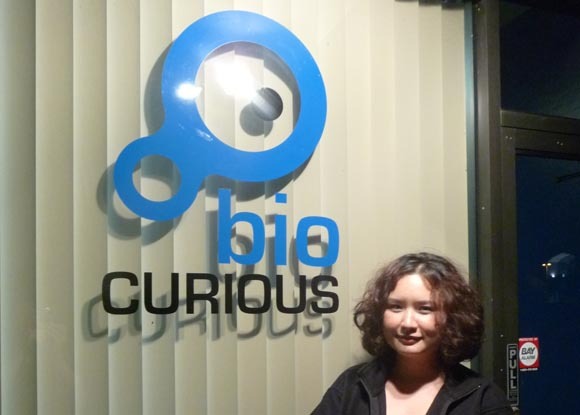 How low-budget is BioCurious? After meeting for a year in somebody’s garage, they finally opened this space three weeks ago with funds raised through Kickstarter. All the staff and instructors are volunteers. They keep such a tight rein on spending that a staffer told me they could keep the place open by teaching one class per week. Of the $117 students spent today for their five-hour class, $80 went to hardware. BioCurious attacks that fear and miscomprehension. Like Hacker Dojo, another Silicon Valley stalwart whose happy hour I attended Friday night, they wants an open space for open-minded people. Hacker Dojo and BioCurious will banish forever the stereotype of the scientist or engineer as a socially maladroit loner. The attendees are stringently welcoming and interested in talking about what they do in says that make it understandable.